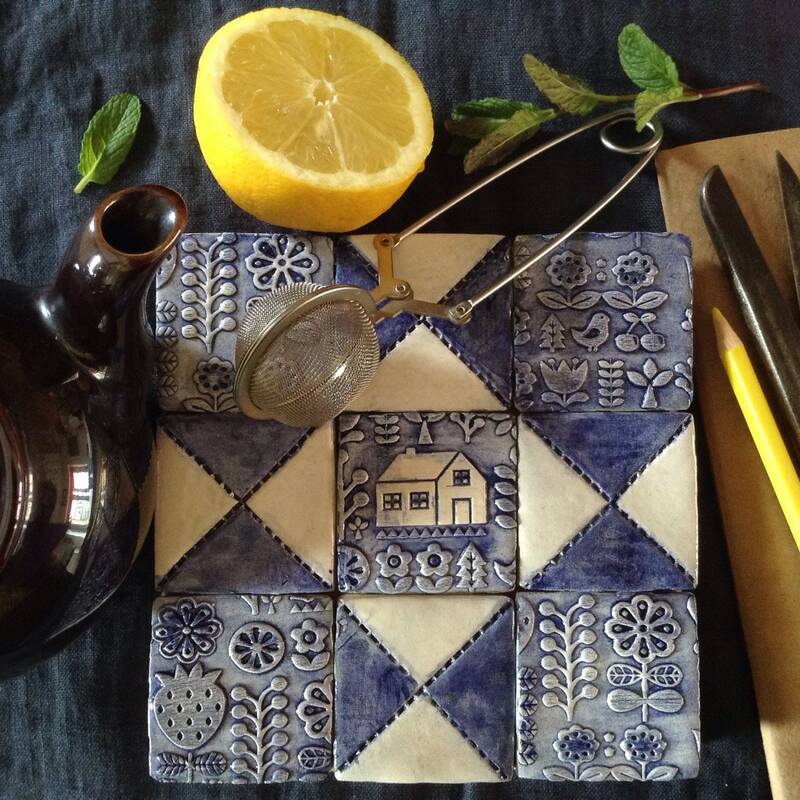 Eyecatching little trivet or pot-stand. 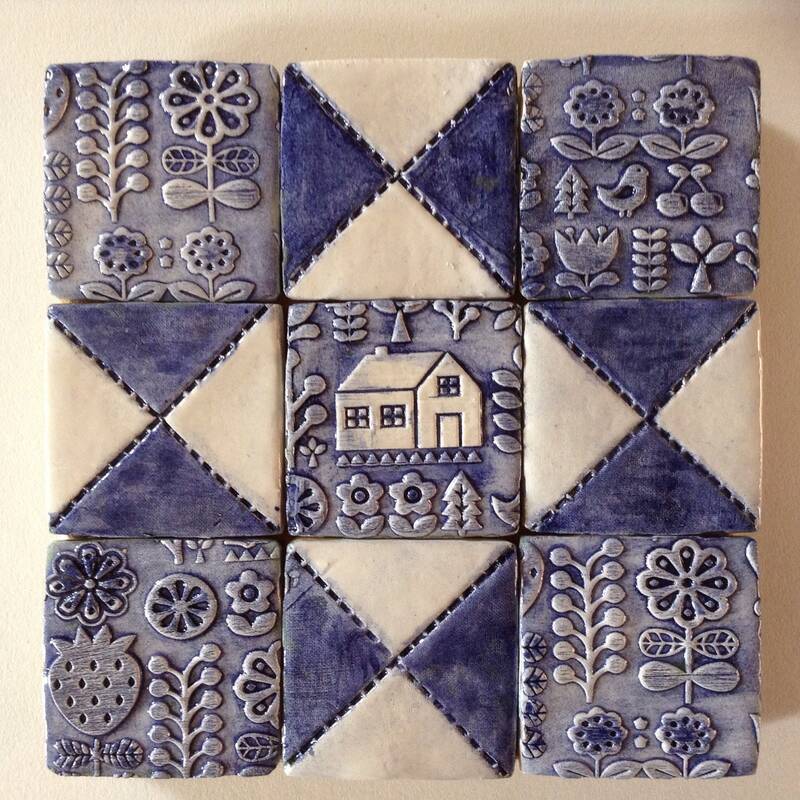 Handmade ceramic tiles affixed to a cork backing. Beautiful colours and patterning. 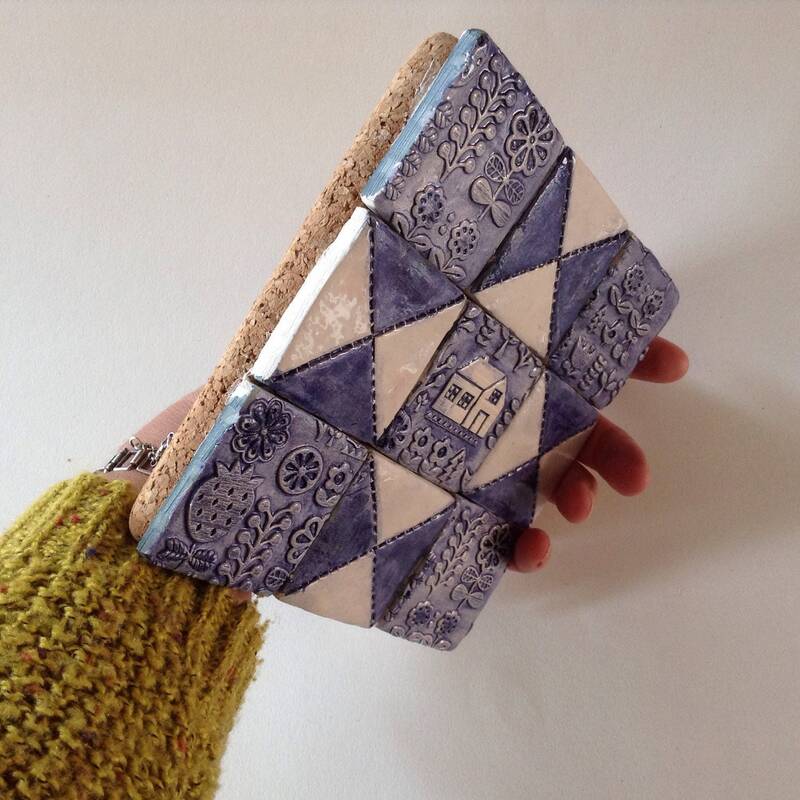 Measurements: 15cm square and 2cm high. 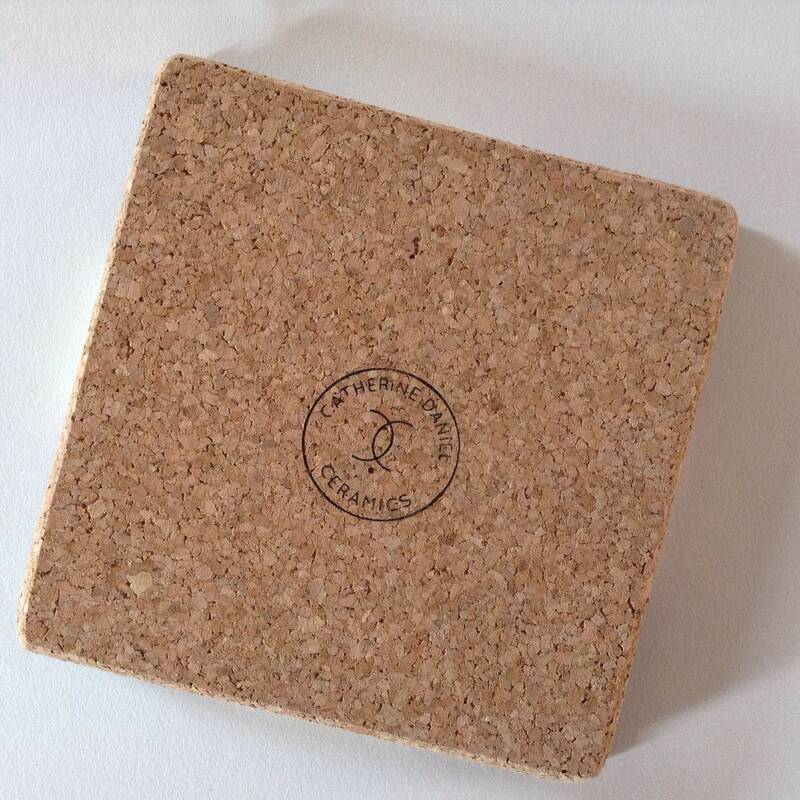 The cork backing is quite thick and sturdy. Please note that these are a little uneven in places - which all adds to their rustic farmhouse charm! I love them so much, I'm making one for my own kitchen! If you'd like one in specific colours, let me know. Happy to make for you!